"Oily" noodles are in fact neither oily nor greasy, not at all, so called because canola oil is used during noodle-making. Salt is the other main ingredient. As a result of the salt addition, the noodles can be kept for a long time without the need for refrigeration. 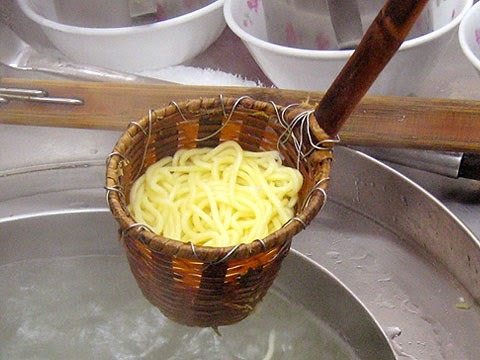 The best way of serving oily noodle soup is (1) put a handful of noodles in a oblong basket (weaved with bamboo strips, left) with a long handle, dip the whole thing in boiling water, and move the basket up and down a few times to ensure even cooking of the noodles, (2) at the same time, melt some lard in a wok, place a teaspoonful of the liquefied lard in a soup bowl, (3) drain cooked noodles and decant into the bowl without disturbing the form, (4) add soup, some bean sprouts, chopped green scallions, slices of lean pork, and (5) dig in. This noodle soup was typically served on pushcarts, sometimes in a shop. There was one such shop diagonally across the street from 媽祖宮MaZu Temple on the storefront side of the old Fish Market. The Market is now demolished to make way for a public square that allows 媽祖 a direct view of Guan-yin Mountain. Local lore has always tied this divine visual access with the prosperity of Tamsui. Now it is a reality. 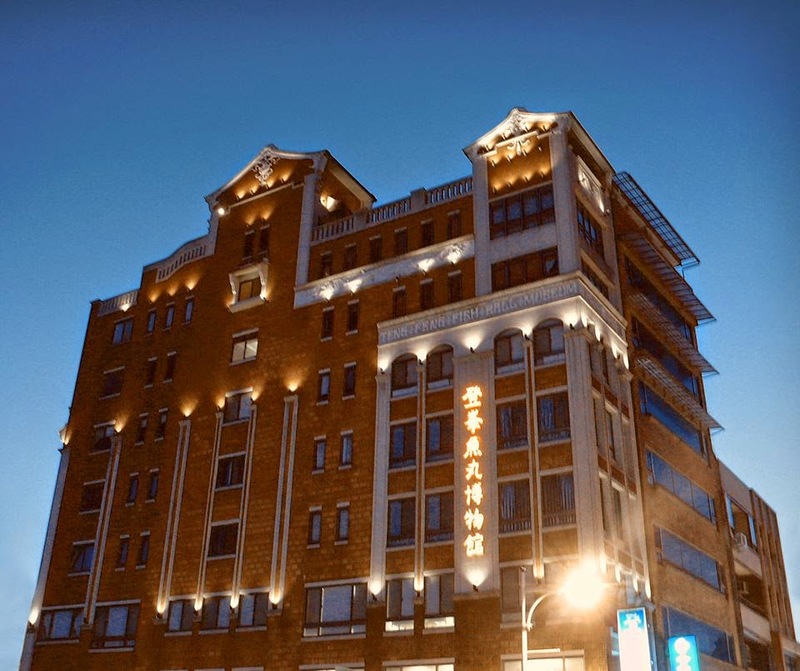 This legend was probably started during the Japanese colonial era when the Fish Market was built to revive the sagging town economy. It was an attempt to resuscitate Port Tamsui. Unfortunately, by the 1920s, Tamsui River was choked by the accumulating silts, large steam-engine ships could no longer enter the Port and went to dock in Keelung Harbor instead. Tamsui locals had a different priority, spiritually speaking, hence the legend. During the Japanese rule, there was also a noodle shop serving udon/soba in Tamsui, operated by a Japanese immigrant. 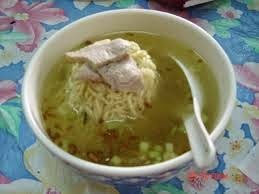 Much like other Taiwanese traditions that had remained intact, these Japanese noodles also had failed to overtake the local favorite, 切仔麵. As a midnight snack, nothing beats the 油麵 soup, topped with small pieces of salty lean pork. In the winter cold, this is also the snack-meal to go for.